Hello from the UK, and welcome to the 5th day of Christmas! It's getting pretty near to the big day now, so I thought I'd show you how to make a really quick and easy last minute present. It's a great little project for using a pretty lampwork orphan or focal that hasn't found quite the right home yet. Lampwork focal by HelenJewellery, another Scottish artist. 1. I start with my lampwork focal. I have a huuuuge stash of lampwork, and it can be hard knowing where to use some of them; they can be just too pretty to put with lots of other beads. They seem to want to be the solo star. So for this project, I like to pick one which I have perhaps had for a while; one that I've not been quite sure what to do with for a while. 2. Take it on a little trip round your bead stash, picking a pile of co-ordinating beads. Don't worry about how many, you just want to get a little co-ordinating pile of bead soup going. 3. 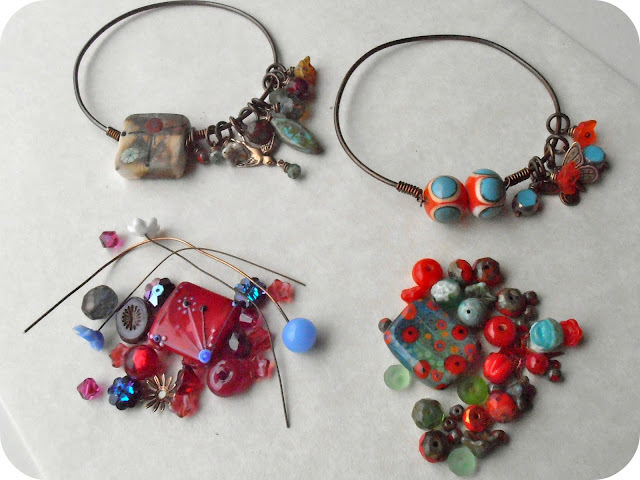 Pick some beads from this bead soup, and turn them into bead dangles using headpins and wrapped loops. You could also might add in a little charm or connector at this stage - like a little TierraCast bird. All of the dangles now go onto jump rings so they are ready to slip onto the bangle. 4. Cut a 20cm piece of 20g wire and coil it around the hoop as in step 4, passing it through one of the pierced ends. 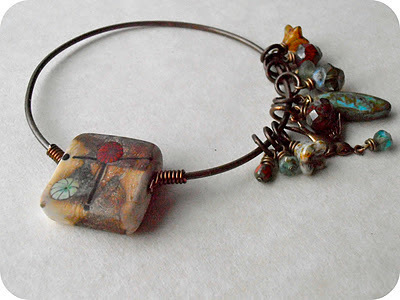 To finish, slip on the dangles at this point, before closing the bangle by sliding on the lampwork focal onto the wire, and passing it through the other pierced end of the hoop, coiling once again to close. And there you have it, a pretty, quick to make bangle, finished in a matter of minutes. A simple design that you can personalise so easily, depending on the lampwork (or any art bead) that you select. And that bead soup you have left over can easily be turned into more jewellery - a simple knotted bracelet, a pair of earrings with clusters of bead dangles....there are so many possibilities. Another great thing about choosing a bead soup in this way is that you can end up putting together colours that work, but that you might not have considered combining otherwise. Lampwork beads from top left clockwise: HelenJewellery, MoMoBeads, Moogin and PixieWillow. Lampwork headpin GardanneBeads. 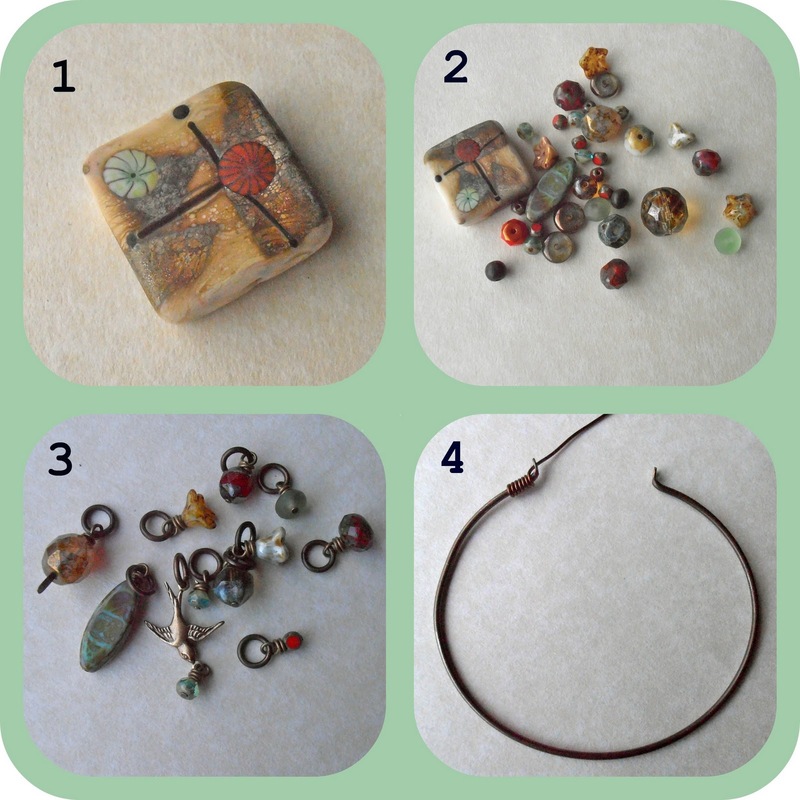 Czech glass and brass stampings from YashmaCreations and ArteBellaSurplus. Rebecca is a Scottish jewellery designer and singer, currently living in Manchester, England. You can read more about beads and singing at her blog, songbeads.blogspot.com and see more of her jewellery at songbead.etsy.com. What a great idea! I've always wanted to use these Vintaj creative hoops but were never sure what to do with them. Love the art beads too! Nice and new look.Very suitable for the youthful and teenage look.Bright colors which is also very attractive. What a fun and beautiful bracelet idea! Thank you for sharing. I have never seen the Vintage creative hoops before and can't wait to try some out. I have one of those creative hoops on my beading table and was looking for how to use it. This is just the thing! Love it! Thanks for sharing, Miss Rebecca. thanks for sharing,i've got a couple of those hoops..think they will be finding new homes this holiday. I love this demo! the beads and color are fabulous!! I absolutely love these! Thanks for sharing. I've never seen one of those hoops either. But now I want to get my hands on a few and try some of these bracelets out. 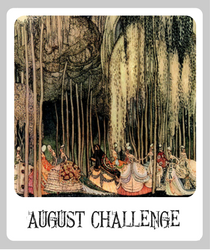 Congrats on a great first post Rebecca! Nice and new look.Very suitable for the youthful and teenage look. thank you for sharing us. happy new year 2014....just found this post. where can I find Vintaj Creative Hoopthose hoops ?